Relations Construction is your best choice for comprehensive service for your house building and renovation project. Our team members are experts at installing high-quality woodwork, decks, plumbing, lighting and more to enhance your home. Work with our team to build your dream house, call us for your new addition, or finally make those long-awaited renovations you’ve been planning for. With years of experience in general contracting, our clients return to us time and time again to complete their projects and exceed their expectations! With over a decade of experience under our belt, we’ve learned a thing or two about quality service and quality construction. 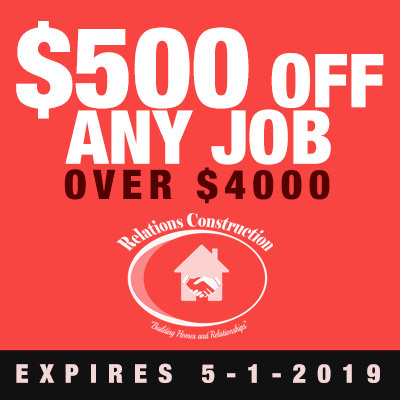 Established in 2004, Relations Construction is a small and efficient construction company that delivers big on custom built homes, remodeling and renovations with an enviable satisfaction rate. We leave no stone unturned, completing projects that include basements, kitchens, decks, living rooms and everything in between so you can be confident in our ability to transform your home. And take our name as a hint, we’re most proud of the relationships we build with our customers. Regardless how simple or complicated the job, we strive to make our customers thrilled and satisfied with their new homes. Our commitment is to you, and we promise you’ll never be disappointed. Call us today and find out firsthand! If you’re looking to add onto your home to accommodate a new hobby or growing family, or maybe custom space, choose our inspection-approved renovation services. We transform kitchens and bathrooms with state-of-the-art upgrades that include custom cabinets, top quality flooring, premier countertops, new lighting and plumbing systems. We specialize in building homes that are original, function, beautiful and work for you. Design with us or bring your own floor plan/architect and we’ll take care of the rest. Custom woodwork can add thousands of dollars in value to your home. Our team is experienced in decks, crown moulding, chair rails, railings and more. 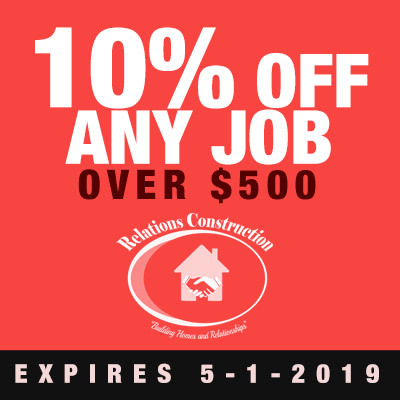 Relations Construction provides full-service renovations, home building and more in the Fairfield County, Connecticut area. We ensure homeowners throughout the area have the best service and quality construction whether they’re building from the ground up, or tweaking their existing residence. 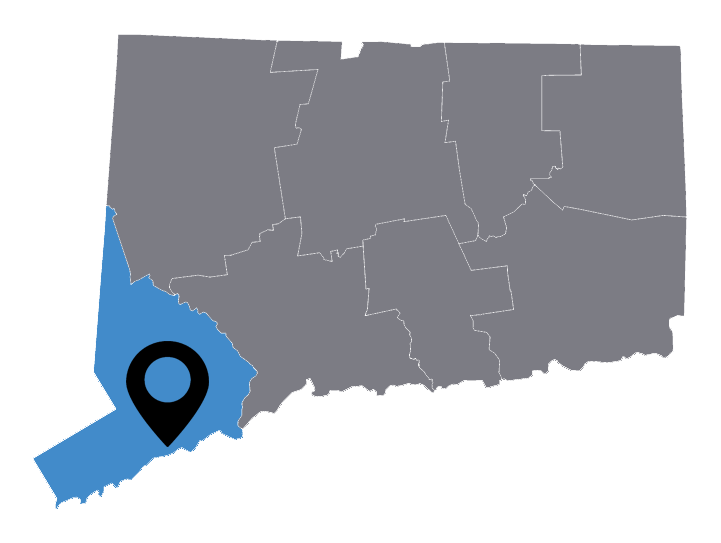 We also provide plumbing, electrical and masonry work until the Milford area, building homes and relationships along the way.